Thursday was a long, hard day so I am forced to think a little harder for my Friday Five than usual. Not that it should be hard. The rest of the week was quite grand on the whole, but Thursday was a little rough around the edges. But a weekend is coming, right? So....I'll make that my first thing to be thankful for! Well, I should probably try a little harder than that. #1 - I got an unexpected e-mail from a friend who I know lives a very busy life! The fact that she took time out of her day to sit down and write was very special and it put a little smile on my face. Actually, now that I think about it, I had several such e-mails from "busy friends" this week. Busy people have good excuses not to write. So when they do, I always pay attention to what they have to say and share with me. #3 - My friend declared Thursday night to be a girl night and encouraged me out of the house. We had a great time. 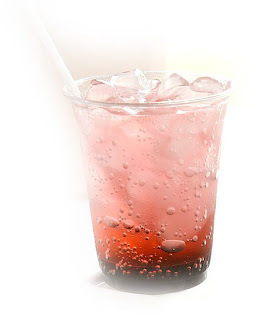 Sometimes you just need to get away, have a good heart-to-heart with a friend over an Italian Soda and that makes the world a better place. #4 - 5 Minutes for Books. I just really love being part of the team over there! Such a great group of ladies who provide fun, encouragement and who challenge me personally in so many great ways! 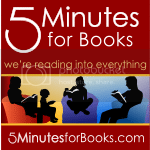 To some, 5 Minutes for Books might be "just another book site." For me, it's about friendship with a special group of ladies who are individually unique and hands down amazing! I love how Jennifer, the site editor, sends e-mails which make my brain spin out of control with ideas and thoughts and plans and dreams. And she doesn't even mind that it takes awhile for me to get my thoughts under control in order to do anything productive. She just goes with my flow which I find incredibly generous at times! I'm ECSTATIC that I get to actually MEET Jennifer here in a few short months! #5 - My sister-in-law, Jennifer, who is working with me on our Offering Hospitality blog. I'm just glad to be working on such a project with Jennifer as she is such an encouragement and inspiration to me! I'm blessed beyond measure to have her for a friend and sister. Turns out there are a lot of things to smile about after all. Mostly it's the people who stepped into my life with encouraging words this week. Words of life. They make all the difference! Throw in a little chocolate for bonus points. great 5! Connecting with friends is so uplifting! Have a great weekend! Great list after a tough week! I'm just happy that my children are mostly well. Now if I could just get well. . .
Great looking blog! As soon as I opened it, I thought "aahhh, books!" I'm off to check out the hospitality blog link. Sounds interesting. Hope you can have a relaxing weekend and curl up with a good book for a bit. Definitely friends with words of encouragement are the best. I'm glad for you that so many came through with that for you this week! LoL...I can SOOO relate with the phone thing! But, good friends always make for a good week, even if we *do* have to pick up the phone once in awhile to connect with them! Well I'd say you dug out some great fives. You're like my hubby especially when he had a job where he was on the phone all day long. He could care less about answering it at home. Emails and friends are the best. 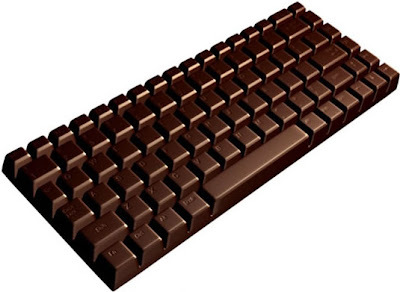 I think I need some of that chocolate. And add me to the list of phone-haters, too. I would MUCH rather have an e-mail or in-person conversation than one over the phone. Glad we have the internet now! Oh my....I'm with you on hating talking on the phone. It always amazes me how people can talk for hours on it. I'd much rather email or talk to someone in person. Thanks for a great list. I never used to hate talking on the phone, but I just realized I don't really like it any more. My mom and I used to talk for an hour at a time -- long distance. With most of my friends these days it's just a quick e-mail about making a time to get together. Maybe I just fell out of the habit. But the thought of being on the phone for long now unnerves me and makes me feel so tied down. I am glad you did answer that call, though! Girl night out is great. I haven't had one this year yet. Aww :-) I love your Friday Five Favs. Yay for good friends and chocolate. I'm not a big phone talker either, but every once in a while I like to have a long chat on the phone. I thought I was one of the few people who hates the phone. I make exceptions for my children and a few other family members. But I really don't like talking on phones. Your Thursday night girl time sounds wonderful! I don't exactly hate the phone but it always seems to ring at an inconvenient time for me (and I refuse to pay $7 a month just so I can know who's calling). Or once I'm talking my kids lose their minds. So I don't spend a lot of time on the phone any more. Much prefer email. If you're meeting Jennifer (who lives less than 2 hours from me), does this mean you are coming to New England?! I'm exactly like you when it comes to the phone. I even have a dear friend who apologizes any time she calls me -- even though, of course, she's welcome to call. I love, though, when I have an amazing conversation -- makes the whole phone-thing worth it!